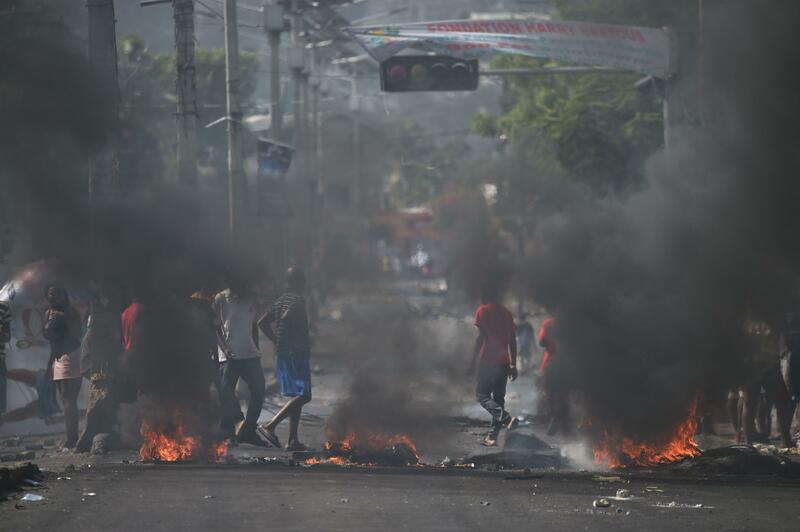 The U.S. embassy in Haiti warned Americans Saturday to shelter in place due to ongoing protests in the capital. Several airlines also canceled flights in and out of Port-au-Prince, the embassy said. The Haitian government on Saturday suspended a fuel price hike after violence in Port-au-Prince and the northern city of Cap-Haitien. A journalist from The Associated Press reported seeing several hundred people on Saturday attack a Best Western Premiere hotel in Petion-Ville, one of the capital's wealthiest neighborhoods. Guests were forced to remain inside as rocks were hurled through windows around 10 a.m. local time. No injuries or deaths were reported during the day's incidents, but at least three people were killed Friday as protesters used burning tires and barricades to block major streets. At one point they attempted to set a gas station on fire but were held off by police. The demonstrations began after the Commerce Ministry and Economic Ministry issued a joint statement announcing an increase of 38 percent to 51 percent for gasoline, diesel and kerosene.